Adrenaline rushes and selfies from a crane 400 meters above the ground. Join a group of rebellious Russian youths performing dizzying feats on the top of Moscow. Imagine climbing onto the spire of a skyscraper and standing there, several hundred meters above the ground – with no safety rope or parachute. 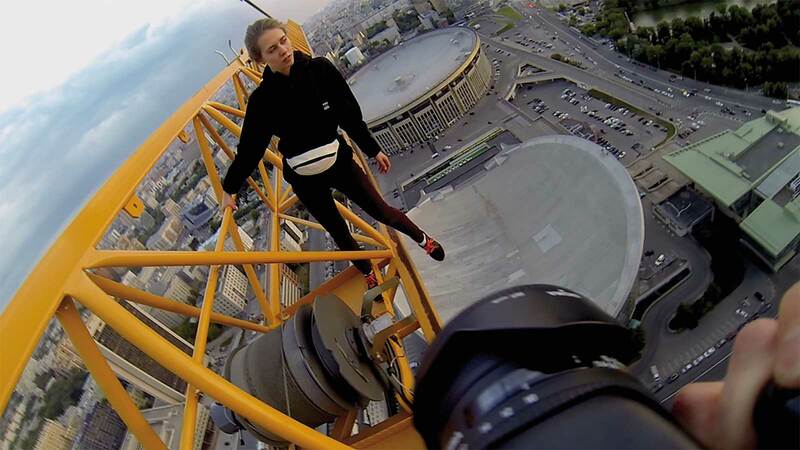 For a group of young death-defying Ukrainian and Russian urban explorers, this is reality – it’s what they do in search of the ultimate experience. Their endeavors result in wild YouTube videos and reckless selfies on social media. This new kind of visual expression is booming in the former Eastern block. And at the forefront of this movement is a young woman. Armed with a GoPro camera, she takes us to the very top and lets us experience this unique rush of freedom. Sweat and nerves are easy to come by as Angela balances on the tip of a crane hundreds of meters above the streets of Moscow. But down below on the solid ground, the harsh realities of life await. On the Edge of Freedom official UK trailer from Larm Film on Vimeo.